My father is a man’s man. In the 1960’s he donned leather gloves to shovel ensilage for my grandparent’s dairy. A weightlifter and physical culture enthusiast, Dad out-shoveled both my mom’s brothers. He even kept pace with the seasoned farmhands. Dad’s zest and hard work earned him a case of pulmonary histoplasmosis. Histoplasmosis is the sort of illness you’d see featured on an episode of House, M.D. or a sensational TLC documentary. Caused by the fungus Histoplasma capsulatum, histoplasmosis usually attacks the lungs causing tuberculosis-like lesions. Fifty years after the infection, Dad’s lungs still show tell-tale scarring. At the time, he experienced the illness as “a bad flu.” He recovered in a few weeks and resumed his job of impressing my mom. Histoplasmosis is a sneaky illness. It’s recurrent and can return to infect other parts of your body. Ocular histoplasmosis inflames the eye’s blood vessels, often causing permanent vision problems and blindness. Dr. Holstein treated Dad’s symptoms for several months. As the weeks passed, Dad and Dr. Holstein forged a friendship of sorts. 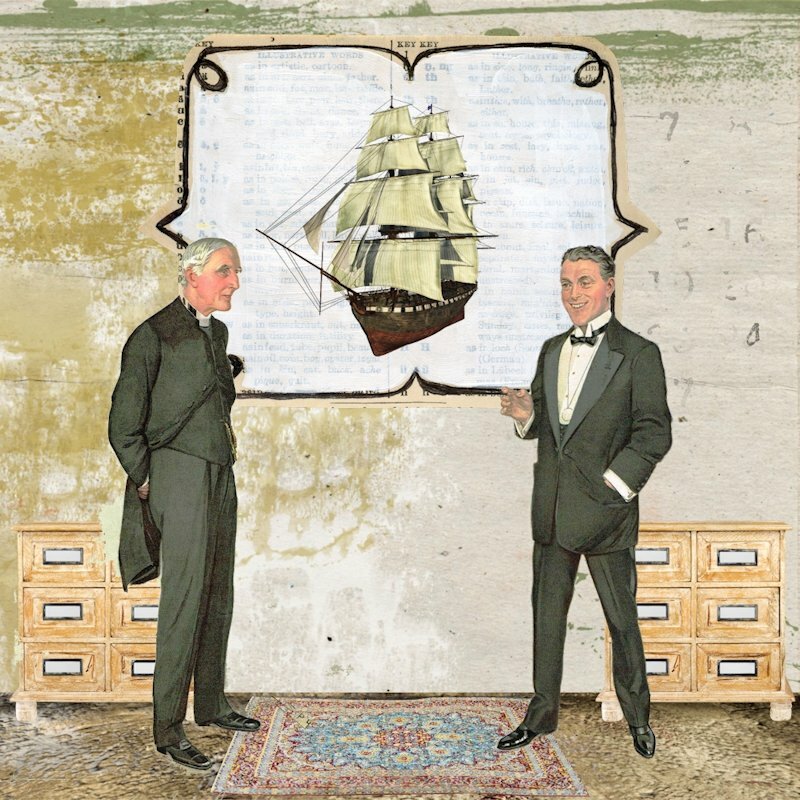 The two of them loved sailing ships and bonded over their shared admiration. Soon, Dad’s appointments were scheduled near lunch and closing time so they could gab about sailing at length. I imagine Dad and Dr. Holstein engaged in a convivial conversation, describing sailing rigs with enthusiasm and volume. Mom and Mrs. Holstein even became telephone-friendly, although our families never socialized. Dad improved and relapsed over the next ten years until his ocular symptoms vanished entirely. Until a two months ago. This sent Dad to a new ophthalmologist—Dr. Holstein retired. Dad gave his medical history to Dr. Lazarus who piped up about Dr. Holstein. Dr. Holstein! Oh yes. He’s a strange bird. Never came to any of our parties. We must‘ve invited him to a dozen parties with the other eye doctors in town. Once I asked him, “Why don’t you visit with us? We’re your colleagues!” Do you know what he said? “I don’t come because I have nothing in common with any of you and I am not interested in socializing.” Huh! Strange, strange fellow. He’s 92 and he’s building a sailboat in his front yard. Dr. Lazarus’s blunt assessment of his colleague aggravated Dad. Our family expects respectful behavior, especially amongst professionals. Furthermore, Dad wondered, “What is wrong with honesty and hope?” Dr. Holstein deserves applause, not disdain. Dr. Lazarus even dismissed Dr. Holstein’s diagnosis. Dad had “allergies,” according to him. Weeks have passed. Dad’s “allergies” lingered. Additional testing revealed that ocular histoplasmosis is indeed visiting my father again. Dad’s world is blurrier and brighter. He and mom have enjoyed revisiting their affection for Dr. Holstein. The two of them plan to drive by his house to examine Dr. Holstein’s boat. 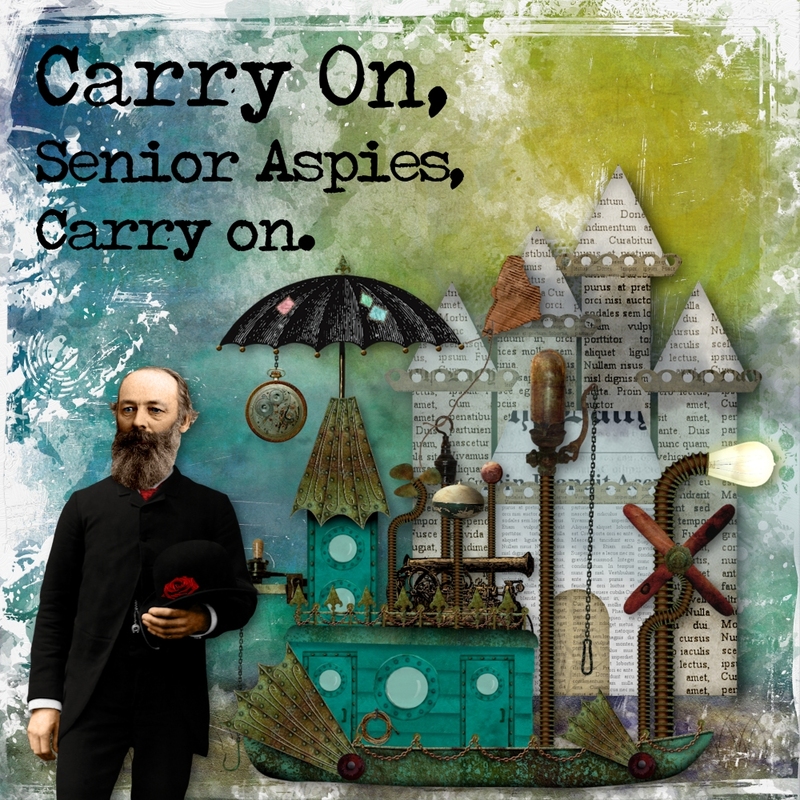 Carry on, Senior Aspies. Carry, on. Nov 19 2012 Sep 11 2013 Lori D.
I love that he is building a boat in his front yard, there is nothing odd about that, that is the brilliant bit! Thanks. Our whole family was surprised by Dr. L’s attitude. Fortunately, Dad’s regular doctor is an angel and very understanding. He’s always made good calls with both Dad and me. Forgive my late response. My husband and I had a meeting at T’s schools with a behavioral specialist and I rather lost my mind. I get easily bent out of shape over teacher’s meetings! I completely understand, teacher meetings are the worst ones! Thanks! Unraveling the Tourette’s/autism/OCD diagnosis has been work! I feel like we are making progress. I have ocular histoplasmosis, and it took 27 years to diagnose. Thank you for visiting with me Happy Girl! When I researched histoplasmosis I was amazed by how difficult it can be to track down and diagnose. I imagine you’ve had your fill of doctors and shoulder shrugging over the decades. I hope you are doing well with your condition. Oh, Hey! Cool! Flickr is awesome. I’ll add you back! 🙂 I’m glad you liked the story. Mom was quite freaked out when the histoplasmosis diagnosis came through. My Dad is a tough fellow!